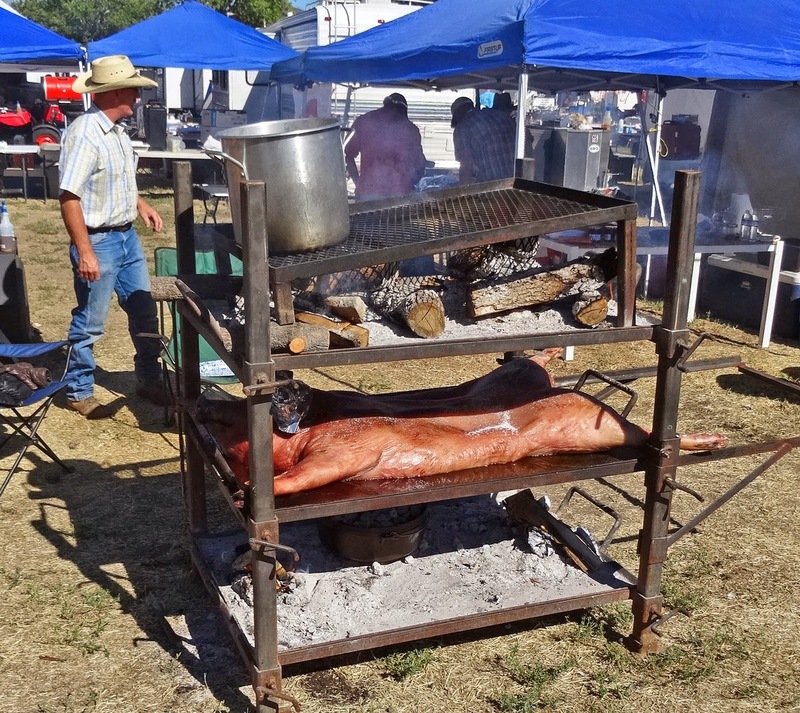 We are in Montague California judging at the 3rd Annual Siskiyou Country Beef Cook-off. 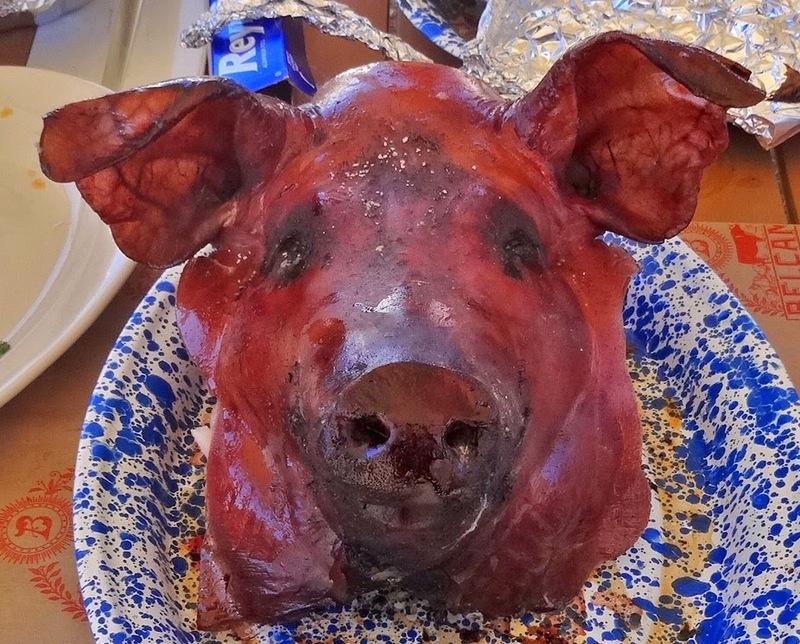 This is a fun KCBS certified bbq contest. The rotary club sponsors this small local event. They roll out the red carpet to all who participate. We received a large insulated bag full of swag for our participation. T-shirts, sun screen, snacks, towels, and bottled water was included in this welcome goody bag. This bag was very nice but our real reward was getting to sample and judge some awesome bbq. Today we are going to mention one special competitor; Belcampo Meats. 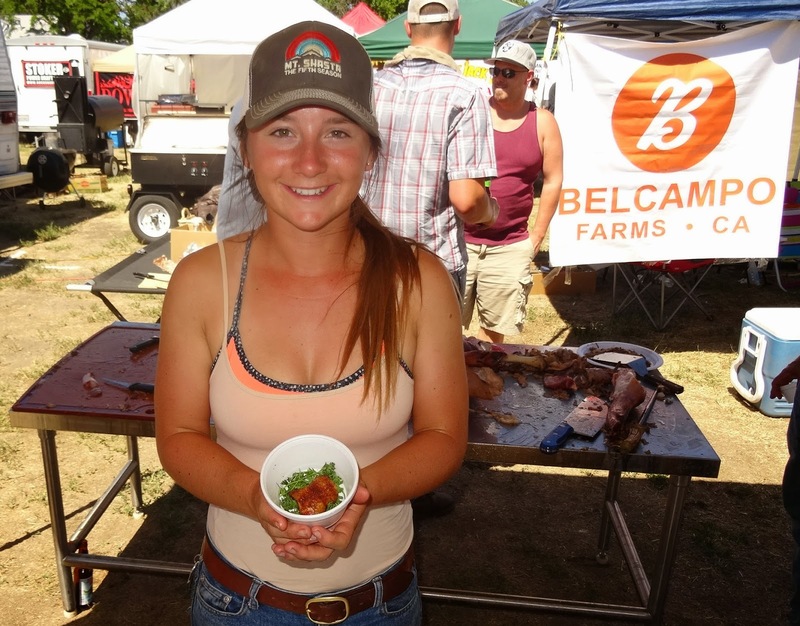 Belcampo Meats is a all-inclusive, farm to table meat company. There farms are located very close to Montague. This is a quote from Belcampo; "What unites everything we do is our singular commitment to provide you with delicious, organic, and humane meat you can feel good about buying and eating." The bbq team representing Belcampo were competing for the second time at this contest. This exciting team is very new to the bbq competition world. This was shown in their creative and outside the (turn-in) box thinking. They are using premium meats from their farms to present to the judges. The image above is a whole pig of berkshire, duroc, ossabaw cross. It was cooked on this custom open pit with heat radiating from above and below. This is one impressive cooker. KCBS judges are looking for meats that are traditionally presented to them. There are certain rules that must be followed in these contests. Belcampo is using organic, quality, fresh meat that may be superior than the typical meat purveyors. Using these meats may someday be a huge advantage to Belcampo. Their team will have to learn the intricacies and the norms of winning competition entries. They came in dead last in this competition. This was not a defeat in any matter. This was a victory of knowledge. The energy and enthusiasm of the Belcampo team shined at this contest. The bbq crowd learned about and tasted some delicious meat products. While talking to the Belcampo team, the enthusiasm and pride was felt about their farms and products. I received an invitation to tour Belacampo farms. The adventure continues. They have an outlet in Larkspur Landing, just across the bridge from us in Marin. We have had outstanding meats from them, but the prices are truly eyebrow-raising. Still, for special occasions, we think it's well worth the cost. Zoomie, They also have stores in Palo Alto, Santa Barbara, L.A. and now San Francisco. I know you need to count your pennies to pay off the kitchen contractor. Mr. Brown, Have you sold out to a small time corporate grass fed meat producer or are you just a closeted fan boy of hipster grass fed meat? I have go check my blood sugar after reading this. GWH out. greatwhitehunter, good call my bacon friend. I will admit that I am still not sold on grass fed beef. Knowledge is the key to unlock higher enjoyment. Do you want to go on the tour with me? We can grow goatees and get some tats. greatwhite hunter, These are happy cows, we do not want to scare them. How can a cow be happy it is is eating grass and not corn? Three Dogs BBQ, A good steak makes me happy. Greg, Up until a couple of years ago I believed chocolate milk came from brown cows.